Three years ago I was honored to be awarded a Sodexo Foundation Stephen J. Brady STOP Hunger Scholarship. At the same time, I also had the privilege of meeting Steve Brady, the founder of Sodexo Foundation. We hit it off instantly! He was a humble man and I really admired his vision to mobilize youth in the fight to end child hunger. Since that time I’ve kept in touch with Sodexo Foundation, perhaps calling a bit too often at times; but you know what it’s like when you’re determined to make something happen. Anyway, you can imagine my surprise when the tables turned and Sodexo Foundation called me! This time they had the request. I was asked to co-host the very awards dinner in Washington, DC where I had received my own award in 2010. It was an unexpected honor that I was happy to accept, and it was fun to act as host along with Dr. Rohini Anand, the global chief diversity officer at Sodexo. The annual dinner, which raises funds for Sodexo Foundation, is an amazing opportunity for meeting new people who share a passion for stomping out hunger. I love to network with new people, and I was especially excited to meet the 2013 Stephen J. Brady Scholarship recipients and interview them on stage. It was evident that they love the work they’re doing to end hunger and they are doing so in some pretty creative ways. Nate Noss, a student from St. Louis, saw fields of un-harvested pumpkins as soup and bread for needy families in his community. 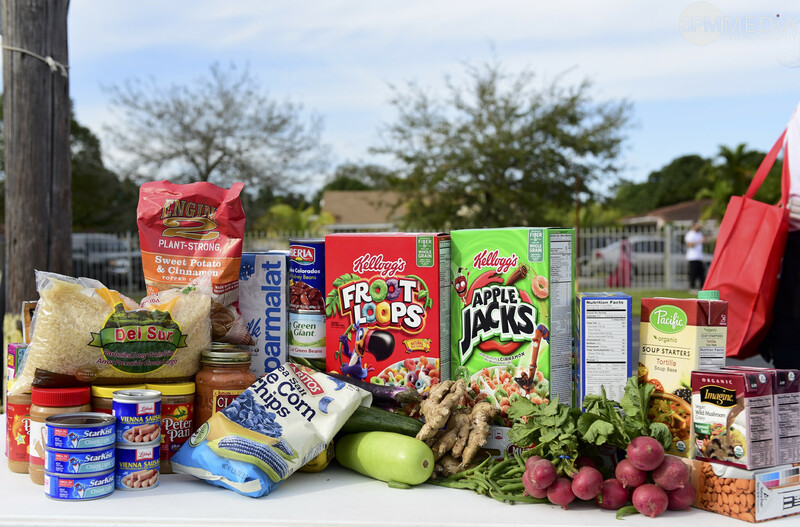 Kiran Sridhar, who came from the Bay Area, made Silicon Valley proud with his web-based solution that connects hunger relief organizations with supermarkets, restaurants and other food providers who have surplus items to donate. Because of my age and my work, I’m usually the one being interviewed, but it was fun to be on the other side of the mic this time and I was so impressed with every story. There was also a moment during the dinner that really touched my heart. We watched a brief video of a third grade student named Daniel from Elsa England Elementary School in Round Rock, Texas. It made me think about how we should really find a way to teach hunger awareness in schools, because hunger can happen to anyone; hunger has no color, shape, size or preference. More importantly it has the power to move young people like Daniel to action and to bring solutions that might not occur to others. Foundation again. I don’t feel too bad going back to the well so many times. Not as long as I’m doing it to carry someone else’s water, especially for the hungry. Sodexo Foundation can call me anytime. Watch Josh’s entire segment from the awards dinner on the Sodexo Foundation YouTube page.